 Industrial Clutch Parts Ltd. manufacture an extensive range of Industrial Couplings. Available directly from stock for worldwide distribution. ICP Claw Couplings supply a series of claw couplings known as ‘rotating’ type. The angled teeth on this series of couplings allow the coupling to engage even when the teeth are not directly in line. Industrial Clutch Parts Ltd. manufacture Rotating Claw Couplings in various sizes and models, designed specifically for our customers requirements. ICP Rotating Claw Couplings are capable of transmitting torques from 176Nm to 206KNm. The angled teeth on this series of couplings allow the coupling to engage even when the teeth are not directly in line. These couplings are uni-directional and will disengage when reversed. ICP rotating claw coupling originates from our static version design, better known as a dog clutch. This coupling acts as a mechanical clutch for occasional engagement and disengagement of transmission drives when the shafts are stationary.